When Larry Hendry devised his universal pcb mounting bracket, life got a lot easier for people who want to mount third-party and custom pcbs on custom MOTM front panels. Brackets are available in long and short sizes. Merely trim the bracket to size, paint it, and drill holes to mount the circuit board. Slip the bracket under a row of pots to mount. That's all there is to it! Best of all, you don't have to drill holes in your front panel. This bracket will work for most modules, provided there are enough pots to mount it. If a module design requires a dense jack field, some other mounting scheme may be necessary. 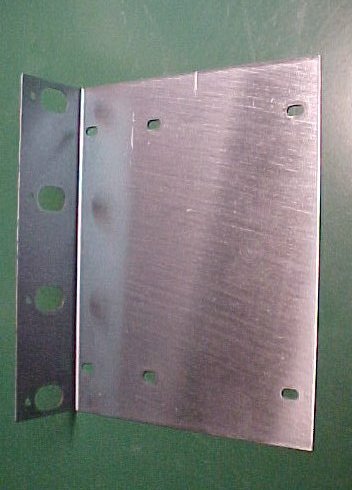 To obtain these brackets, contact Larry. More info at Larry's website is here.